While not all tenkara flies have the hackle facing forward (away from the bend of the hook / “reverse”), the most popular and most easily recognizable tenkara flies do. These are called the “sakasa kebari”, or “reverse [hackle] flies”. As a result that’s a question often asked: What is the reasoning behind the reverse hackle on tenkara flies? There are three main theories for why tenkara flies came into being (as well as why some of the flies used in the Italian method of fishing called Pesca Alla Valsesiana turned out to be tied in similar fashion). 1) Speed: Tying flies with the hackle facing forward, away from the bend of the hook, may be one of the quickest ways to do it. You simply wind some thread on the head, wind it back a bit, secure a feather and wind it, brush the feather forward, then build the body of the fly with the thread and finish the fly on the body of the fly where there is a lot of room to do so. This would have especially been important before vises came about. 2) Body: When a fly with hackle pointed toward to the bend of the hook hits the water and is pulled toward the angler, the hackle brushes back against the hook. The fly becomes slimmer. When the reverse hackle is forced back a bit, it actually opens up and the fly has even more “body”, or more visibility, than in its dry state. Flies will vary in how pronounced their reverse hackle will be, but for the most part they retain the reverse hackle fly quality. This is the photo of a reverse hackle fly when it is wet, the hackle is back a bit, but it still has body to it. 3) Motion For the most part western flies have been designed with aesthetic imitation, not motion, in mind. Perhaps because it is very difficult to impart motion to a fly that is very far away or tied to the end of a very heavy line or a line that has to go through guides of a rod. Tenkara on the other hand was developed to be fished with lighter lines, normally closer range, and with the line tied right to the tip of the rod. These characteristics allowed for the fly to respond to any movement imparted on the rod. Whether the reverse hackle flies were deliberately “invented” that way because or motion or not we will never know. What I do know is that this is probably one of my favorite reasons for the reverse hackle. When I want to, and if the situation calls for it, I can pulse my fly. I can impart motion to it. When I pull it a bit, the hackle opens, when I relax it it closes. 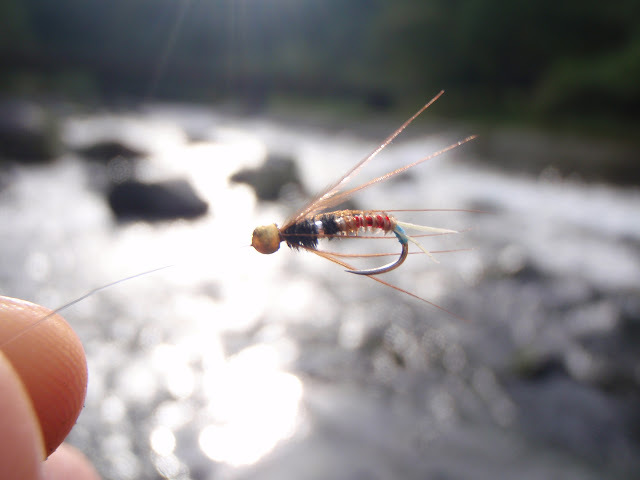 When tenkara flies are imparted with motion they are very buggy and lively. This is one of my favorite reasons for tenkara flies, and the fact that they are quick to tie, retain some body when in the water, and are very versatile as I can fish them on the surface by keeping line off the water or under by allowing it to sink a bit. Stay tuned for an upcoming video on different techniques for tenkara. Last year I was honored to be featured in the Japanese magazine Fishing Cafe alongside some of the great names in tenkara in Japan. Among these names is Yuzo Sebata, who’s been featured in almost all Japanese magazines that discussed tenkara. I would see pictures of him wearing crampons while fishing from steep sloping cliffs, casting his simple fly into saphire-colored waters for Yamame, hoping to join him one day. 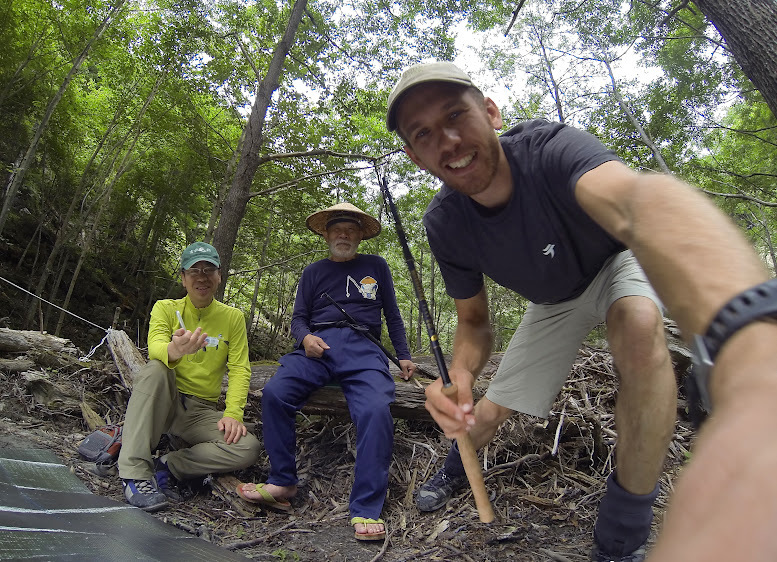 Dr. Ishigaki told me he was in his 70s, and was frequently fishing some of the most inaccessible places in Japan. I have not yet had the fortune of meeting him in person. Two years ago, when I spent a couple of months in Japan I was supposed to meet him. But Sebata-san, who is from the Fukushima region, was volunteering in the recovery efforts after the devastating tsunami, earthquake and nuclear disaster that affected his hometown. I admired him for that. In about a month I’ll be returning to Japan once again. As with my yearly trips over the last 4 years, I intend to learn more from the long-time practitioners of the method (yes, I do still feel there is a lot to learn). I’m supposed to spend 4 days camping, climbing, rappeling and fishing with Sebata-san, who is now researching places where he can take me that won’t have many of the huge and venomous Japanese giant hornets common at that time of year. In the meantime, I figured I should do a little more research on him, so I asked my friend Akira to translate the article he wrote for Fishing Cafe. I learned that besides tenkara, Sebata-san is very interested in foraging for wild edibles. In fact, I heard that about 3 years ago he got lost in the mountains. He spent an entire week lost in the mountains but surviving with his skills at picking wild vegetables and catching fish. His family and friends were worried about him because of his age, but after a week he appeared in a town, with no idea where he was, and hitched a ride and go back home. Hope you enjoy the reading. My fly-fishing style is generally called “Nikko Tenkara”. Tenkara fishing around this area has a long history and it’s been passed from generation to generation for couple hundred years. The Gorocho fly is famous in Nikko, But the “fly” being used in Nikko tenkara is different from “Gorocho fly”. The meaning of “Gorocho” is “long beard caddisflies” (Latin name: Stenopsyche marmorata). The fly which imitates the “long beard caddisflies” is called the Gorocho fly. People who do tenkara around here keep chicken varieties as pets so that they can get feathers from them to make flies, but they are different from the Gorocho fly. I started tenkara fishing about 50 years ago. The reason I started is that my friend from Tochigi prefecture, Isamu Tanaka’s grandfather, Juntaro Tanaka was a master of tenkara fishing. When I stayed with my friend, Isamu-chan, his grandfather, Juntaro told me “If you catch 5 fish, you won’t be able to stop fishing, so why don’t you try it?” His explanation of fishing was very abstract. It was, “Just throw the fly in the river, play it in with good timing, and then you can catch a fish,” so I didn’t really understand what he meant at that time. But once I started mastering some of the techniques, what he was saying was exactly right. The night I stayed at their house, he showed me how to make flies while we are chatting about random things. I was able to understand how to make them just by watching him do it. How fishing line is made around here is that they repeat the process of dipping kite string made out of cotton in persimmon juice, and then tan it. I used to use the same process to make it, but I was not totally satisfied. So through my own trial and error, I figured out nylon twine worked the best. Some people were using horse tail hair, but it wasn’t easy to get even in my generation. I was looking for something similar to horse tail hair, and I found nylon. In fishing magazines in those days, they were showing how to connect horse tail hair to make a taper line. Since this taper line has heavy knots, there is a benefit of being able to throw the line in, but it didn’t look good. I myself wanted to make smoother fishing line, and when I finally succeeded, I had to shout “I did it!” My journey to making perfect fishing line was completed before mastering my fishing skills. I tried fly fishing before making my own fishing line, but I was not able to fish as I hoped. I still clearly remember when I was able to catch my first fish. As soon as the fly touched the water, a Yamame fish about 30 cm long jumped out the water then disappeared. I was surprised by it and lifted my hand with the fishing rod, but the fly was strongly pulled under water. Before this, I would pull the rod as fast as I could, thinking “I can’t be faster than this”, but I was not able to catch any fish. But this time I was surprised, so I was not able to control my timing as quickly as I want to, but I was able to catch a fish anyway. Later on, I really thought though why I was able to catch that fish, and I started to understand why. At that time, the line didn’t go so far and the fly landed on the water while the line was still slack and floated on the water. That Yamame appeared where the line was slack and floating on the water, and the Yamame bit it and tried to take it away. As a result, I was not able to quickly adjust the timing of pulling up, but rather it became a “slow adjustment”. That made me realize “Ah ha, I need to slow down by one breath. This is the secret of tenkara fishing”. The time I started to go the headwaters of streams was around the time I learned how to make flies. I have hiked a lot since I was young, and I had confidence in my physical strength. My motivation was that I would be able to catch lots of fish if I got to the headwaters where nobody else goes. I just wanted to catch a lot of fish and catch big ones; it was “fishing greed”. I looked at the map and decided to go over the mountains on my own two feet. Once I gained more confidence in doing this, I started going to the next valley and deeper into the forest. As soon as I heard someone say, “If you go deep into that forest, you will be able to find Iwana (Char).”, I immediately looked at maps to find out more about that place. To tell you honestly, I went some places where I would have been dead if I was not careful enough. I have experienced slipping off of cliffs, and lost my sense of direction and was about to be completely lost several times. When we fall into those kind of emergency situations, whether we live or die depends on the “destiny of your own life,” NOT “fate”. Fate is something decided by God, but I think destiny of your own life can be controlled by your own effort. When I have narrow escapes, I believe “this is not my fate; my own life power must be much stronger”. When I just learned tenkara fishing, I always wanted to go farther and farther, which expanded the area where I could go. Once I could expand the area I could go, my skills of going to the upper valleys and living in the mountains improved. I am able to set a camp fire in the rain and I can cook rice very well over it. Different natural foods grow season by season. If I want to eat them with rice, I need to learn about those natural foods like wild vegetables and mushrooms. I don’t learn about them by reading a book but through real life experience. By seeing someone who is hunting wild vegetables, I learn, “Ah, I can get those kinds of wild vegetables around here!”. This is how I keep learning. By going through hard situations, you will be able to strengthen your physical and mental states. This is like improving our driving skills. Veteran drivers avoid dangers by realizing potential dangers in advance. If the road is slippery, then the driver slows down. If the driver starts to feel sleepy, then the driver takes a break. That is how avoid potential dangers. I believe being able to act on that kind of common sense is the power of living. If I fall off of a steep cliff, I would die, too. Being able to judge whether I can climb up the cliff with my own ability or not, that is very important. If I judge this is something I can do, I will keep moving forward with courage. If you aren’t sure or hesitate, you will fall off from the cliff. Fish teach me how to fish. Going to the headwaters of a stream in a deep forest. My surroundings getting dark after the sun sets. Feeling sleepy while watching the camp fire. Waking up early in the next day. Getting up before dawn and making a camp fire and seeing my surrounding slowly get brighter. I really like these feelings. Tenkara fishing is very simple, which makes me feel I am a part of the mountains. If you want to submerge yourself deep in nature, it is the best fishing style. But just through the act of fishing, we won’t be able to enjoy real thrill and joy of tenkara fishing. Fishing becomes much more fun by experiencing the joy of being able to be a part of nature and learning something new in nature. I have been fishing for a long time so that I will be to master that kind of style of fishing. During the long journey of fishing, you will start to feel that fish are adorable. When I started fishing, I used to feel that I wanted to catch as many fish as I could. But by going upstream, I started to feel that I didn’t need to fish more than I needed. I reached the conclusion that I will just catch as many fish as I can eat, then release the rest of the fish. It made me feel I won’t be able to kill more fish than I need. The most important thing about fishing is that you need to fish “where fish exist”. If a fish is there, you will be able to catch a fish. We can’t learn anything from fishing that doesn’t let you catch a fish. By being able to catch fish, we will be able to learn new methods of fishing. That is all. It’s all that simple. If we think more than we need to, it will make us even more confused. You will be able to learn fishing from fish. You will be able to learn how to live in nature from nature. There are lessons I learned through tenkara fishing. I’ve been working on a project that will take me a while to complete, I actually started it almost two years ago, inspired by Mr. Yoshikazu Fujioka’s website (my tenkara flies teacher) and incorporating flies from people I have met in Japan. It is starting to look cool. It is a map of Japan with tenkara flies from different areas. As I learn of new flies, and go through the flies gifted to me in my travels to Japan, the map will become fuller. I hope it will serve as a useful resource. When John Gierach contacted us expressing his interest in tenkara, I had no idea his interest in Japanese culture would extend so far beyond the type of fishing we were introducing here. 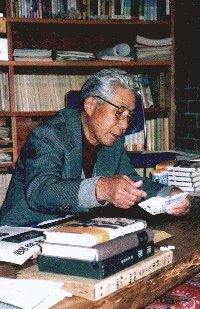 In 2010 I had the pleasure of spending a couple of days at his home, where I learned that in college he enjoyed Japanese literature, not long after became interested in bonsai, and then even tried making his own gyotaku. Quite sometime ago we talked about the beginnings of a fascinating film project, the Manzanar Fishing Club. This project documents the stories and history of Japanese and Japanese Americans who were imprisoned at the Manzanar internment camp (Eastern side of the Sierra Nevada) but would risk their lives to sneak out of the camp and pursue freedom in some moments of fishing. We’re happy to share that the film has been completed and is opening soon in several theaters. I had the pleasure of watching a pre-opening showing a couple of months ago and it is a touching story that is very well told by the film-makers and those who tell us their personal stories. The angler pictured above was an angler from Japan who would disappear for days at a time to go fishing in the mountains nearby. In this particular stance he was gone for 2 weeks, leaving the camp with absolutely nothing on him, and for 2 weeks surviving off the harsh terrain of the Eastern Sierras. The fish he proudly displays are golden trout, which were only found miles and miles away from the camp. We will never know whether he, or anyone else who suffered the injustice of being imprisoned, was aware of tenkara or not. It is actually irrelevant. If tenkara really means from heaven, then I’m certain they practiced their tenkara. Those who fished outside the camp found their tenkara, their moment of freedom and their gift from heaven, on the streams on the other side of the barbed wires. The original tenkara angler was generally illiterate, and truth-be-told, not at all interested in making a record of his time fishing. It took a British diplomat, spending time in Japan, to write on paper what has come to be accepted as the first record of tenkara. Mr. Ernest Satow, a British diplomat who spent over twenty years in Japan at the prime of his career and who was also a keen mountaineer, kept detailed diaries of his time in Japan. In his records of the years 1877 and 1878 we can find the first references to tenkara ever recorded. The references did not mention tenkara by name, simply the fact that flies were being used to catch the local trout. Based on the detailed descriptions in his diary, his records are the first that most likely indicate the observation of tenkara. It was stated in Tenkara: Radically Simple, Ultralight Fly Fishing by Kevin Kelleher and Misako Ishimura, that the first description of tenkara was written by George Elliott Gregory on March 28, 1877. I do not believe, that Mr. Gregory was the first person to observe and write a record of tenkara. Mr. Gregory wrote a report titled “Japanese Fisheries” for the book Transactions of the Asiatic Societies of Japan. In his report, Gregory describes five methods of fishing practiced in Japan, one of which he calls ka-bari, where ka is a word for “mosquito” and bari is the word for hook. He writes, “The ka-bari is a simple bamboo rod. The line is used with a float but without any sink and the bait, as its name ka implies, is an artificial fly.” However, based on the vague description, and the fact that he does not mention the area where he observed this type of fishing, nor the species targeted, we can not be certain whether he was referring to tenkara or another method of fishing. Japan has an abundance of fresh-water fishing methods, at least two of which use flies (ayu fishing and tenkara). As tenkara was primarily practiced in the higher mountain streams, and ayu fishing much more common and at easier reach, it would be difficult for him to have observed the method. Furthermore, ayu fishing is normally referred to as “ka-bari”, not tenkara. Mr. Satow, on the other hand, was in a good position to have witnessed tenkara first-hand. 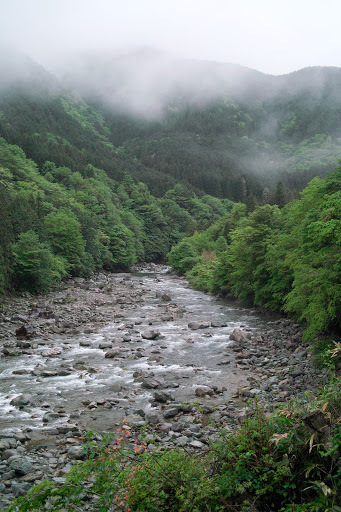 he frequently visited the areas far off the beaten path in Japan, and more importantly, spent time areas where tenkara would have been practiced. On numerous occasions he visited the mountains in what is now known as the Japanese Alps, with numerous mentions of Mt. Tate (or Tateyama) and Mt. Ontake. These areas are known for their cold streams and the long history of tenkara practice. One note: I have mentioned in this blog before that the first record of tenkara was in a book called “Diary of Climbing [Mt.] Tateyama”. This was a compilation of Mr. Satow’s diaries done in Japanese. Mr. Satow himself never gave his diaries that title. Thus, it is more accurate to state the first record was in Sir Ernest Satow’s diaries. The full transcripts of Sir Ernest Satow’s diaries can be acquired and read in this pdf version of the book. The diaries themselves are a fascinating read for those interested in Japanese travel. Ah, just as a reminder: tenkara was never practiced by samurai.